How can I use the --aux-directory option through latexmk? This version will be submitted to CTAN fairly soon, but some feedback would be useful, since I have not tested the new features extensively, especially as I don't have current access to MiKTeX or a more recent one can be found on CTAN as well. I've done some tests with the -output-directory option, and the only problem that needs sorting out is that the combination of biblatex with bibtex doesn't work because a file needed by bibtex isn't in its usual place. (Biblatex with biber works, as do ordinary uses of bibtex.) If you don't use biblatex, the last issue doesn't affect you. Update: John Collins just pointed me at an unreleased version of latexmk which provides --aux-directory-functionality. He said he should be able to release this soon and he's planning on responding here directly. Meanwhile, thank you for your responses so far. This situation is unfortunately not supported by the current version of latexmk. It would obviously be a good idea to support this, but would need significant changes. It's now on my list of improvements for latexmk. Unfortunately, I don't see a good workaround. Well, as doncherry already posted there is no option for this in the current version. Find a rough patch against version 4.26 below, or download the patched script directly. Make sure that the directory ends with a /! This worked fine in my test which actually included TeXLive with the similar -output-directory option as long I symlinked the PDF file. I couldn't test it with MikTeX under Windows yet, but it should work there as well. #    as minimum, but no more if actual aux file is trivial. # 3. Provoke a run of (pdf)latex (actually of all primaries). 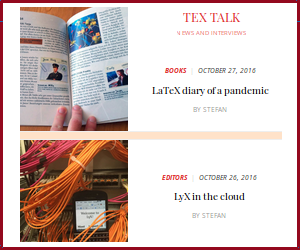 As the other authors have already noted, latexmk currently doesn't support the --aux-directory flag. Since I also find it quite annoying to have all the aux and what not files flying around in the folder of the latex file I helped myself with the latexmk option -jobname=. The folder "build" needs to be there. The resulting PDF is also in that subfolder. You have to type the filename twice. Since this uses Bash I'm not sure, how to do this with Windows. But at least you can put all the generated files into another folder. Not the answer you're looking for? Browse other questions tagged miktex auxiliary-files latexmk options or ask your own question. How can I avoid compiling twice? How to use latekmk with feynmf/feynmp?